On October 14th, the Department of Health & Human Services (HHS) finalized and publically released the Medicare Access and CHIP Reauthorization Act of 2015 (MACRA) Final Rule. The Final Rule aims to build a more patient-centered Medicare program by endorsing quality patient care while controlling mounting costs through the Merit-Based Incentive Payment System (MIPS) and incentive payments for Advanced Alternative Payment Models (APM). The MACRA Final Rule was designed with the input of thousands of physicians and patients across the United States. The input provided shares a collective theme – the need for flexibility, simplicity and support for small practices. Thus, the HHS created a Medicare program that rewards physicians for delivering quality care to their patients. The act allows eligible Medicare physicians the flexibility to pick their pace of participation for the first calendar period of the program that starts January 1, 2017. This allows physicians to ease their way into the program without seeing negative payment adjustments right away. The MIPS track is designed for providers who would like to ease their way in with a conventional, fee-for-service Medicare. There are very few changes when the program starts in 2017. Payment adjustments in the first year will be neutral, positive or negative up to 4 percent. As long as eligible physicians report some activity in 2017, they will not be hit with a 4 percent payment penalty. The advanced APM path is designed for providers who have previously participated in specific value-based care models. Therefore, if you already partake in an advanced APM, your participation would remain the same. Physicians who receive 25 percent of Medicare payments through an advanced APM in 2017 will then earn a 5 percent incentive payment in 2019. If you aren’t enrolled in an advanced APM and are interested, more options are still becoming available. 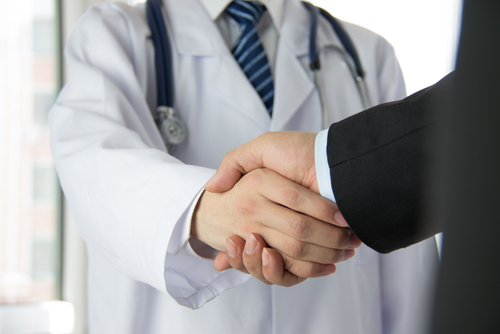 The first couple of years of the MACRA Final Rule are aimed at getting physicians progressively more experienced with the program and vendors more supportive of physicians. It will also extend more opportunities for physicians in smaller practices and specialties to allow them to participate in these initiatives, and for anyone looking to join advanced APMs. The HHS hopes that this new program will strengthen the healthcare system for patients, physicians and taxpayers alike. At HIS, one of our primary services is Revenue Cycle Management (RCM), which includes MACRA and MIPS as a part of its services. This complete set of services plays a central role in the increased probability of your business. By outsourcing the management of your revenue cycle to HIS, we’ll help you maximize your reimbursements, improve compliance, speed up cash flow and boost your overall profitability. Contact us today for more information on our revenue cycle management services and how we can help you.